I am in the process of updating the links in the sidebar of the blog. What precipitated this was an e-mail I received from someone whose link had been listed here for years. She wrote that she did not like my blog, so I deleted her link. If anyone else would like me to remove their link for any reason, I will gladly comply. Just let me know. Also, if anyone would like me to add a link, send me your suggestion and I will queue it up. Over at Makeup.com, Kristen Oldham Giordani highlighted Dana Fox's viral Pinterest tutorial for everyday eye makeup application. It is not complicated and actually similar to the routine I use. I recommend it. If you are over 50 (also known as "the new 40") and looking to try something new with your lovely locks, check out the 10 x 3 hairstyles for women over 50 in the Style section of Life Goes Strong. About half the celebrities modeling the hairstyles are actually over 60 (like actress Christine Lahti pictured above) and two are in their 70s, so there is even something for an old lady like me! 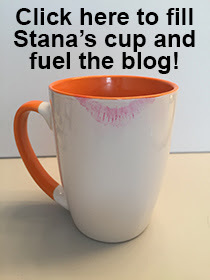 Stana, will you be updating the Womanless Pageant Archive? I really enjoy them. Your sharing info on male models is great, they are stunning! I think all of us who have a transgendered blog crave a link on Femulate; I am constantly amazed by the femulators you feature, where do you find them all?, I also have to agree with Alice about the male models you occasionally feature. It seems my link to you has gone away? I certainly read your blog daily and love it and value the link! I look forward to my daily feed from bloglovin and think you are doing a fabulous job here,keep it up. What's not to like? You spot is my starting spot for my daily check up of (nearly) all things femulated!